The concrete is a low slump approx (40mm) vibrated to ensure that the right density and compaction is achieved. As the machine moves, the mould slips over the vibrated concrete – hence the term ‘slipform’ (no slurry used). Changes in the concrete properties will alter the results of the kerbing process. Hence, uniformity is the key in the slipform process. Uniformity in design (mix and geometrics), logistics (concrete supply and delivery), and energy levels (vibration and movement) are all vital for satisfactory machine performance and kerb results. If the vibrators are not working in the mould (concrete compaction), the slipformer will not produce a kerb. Times have considerably changed in the road building industry in the last 30 years with advances in machinery and technology. 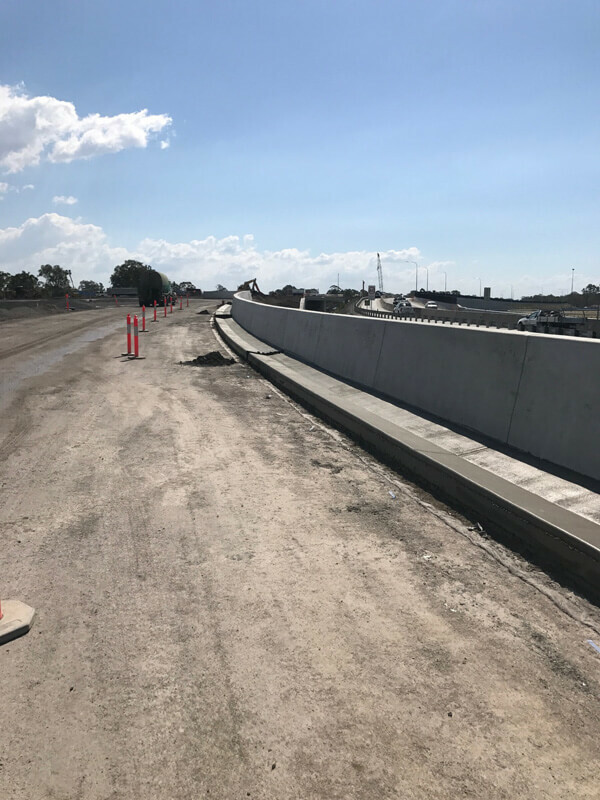 Road building has become more efficient in its process and has substantially reduced construction time hence the need for a kerb product which can stand up better to the demands of the modern day road building industry. 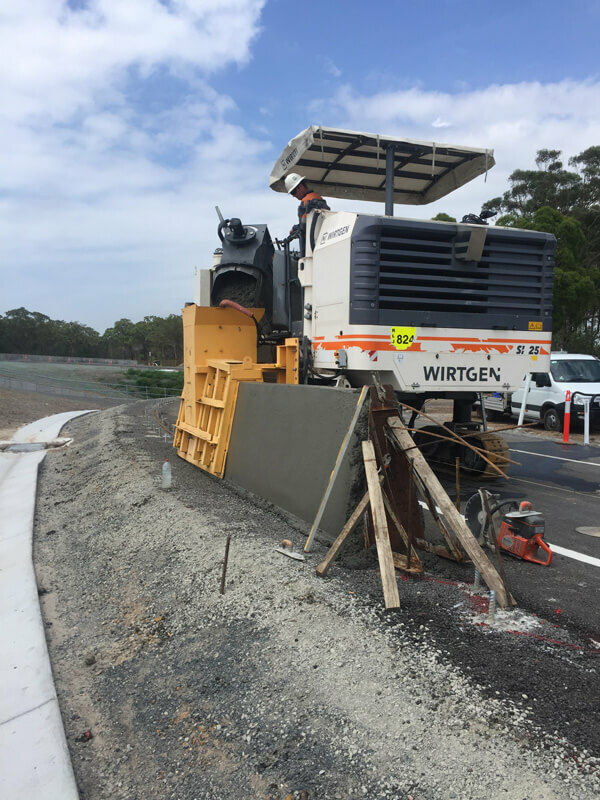 Slipform Kerbing is considerably stronger and more durable than Dry Extrusion Kerbing giving the customer a product that can withstand the punishment dealt out on construction sites by Trucks, Rollers, Graders etc. Slipform kerbing is excellent in the reconstruction of old kerbing as there is no need to over excavate the width of box to make room for the standard dry mix kerb machine. 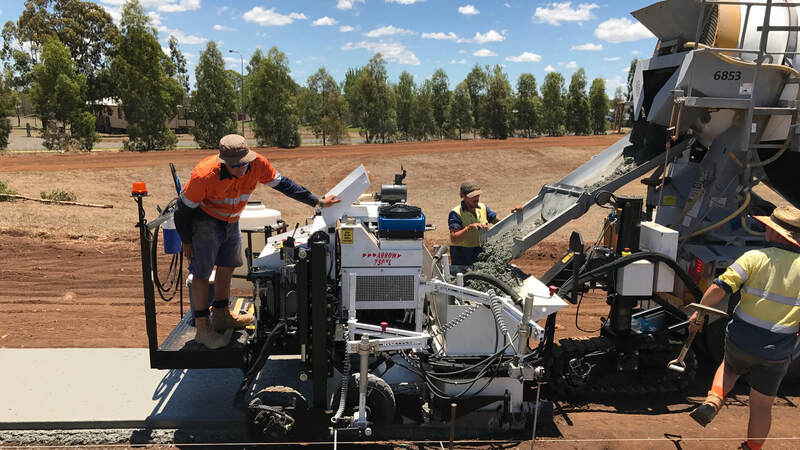 The slipform process allows the machine to stay up on the existing roadway and place the mould down into the position of the old kerb, saving thousands of dollars in excavation costs. 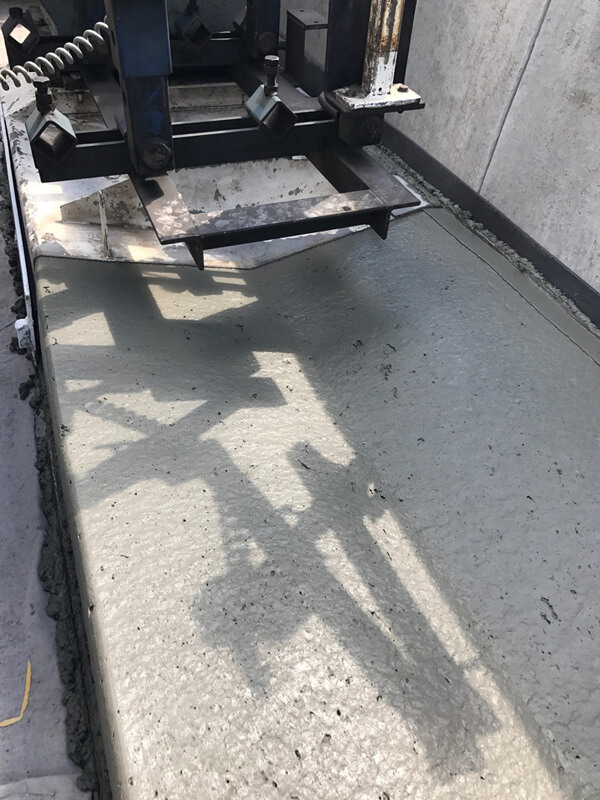 Slipform kerb can be formed to any practical shape or height required and can be placed over dowels or can have reinforcing bars inserted as it is placed. Under guard rail, over existing kerbs, against objects, footpaths, bikeways there is no need for boxing, it is continuously poured by machine.